How to check and overcome high Blood Pressure (BP) or hypertension problem? 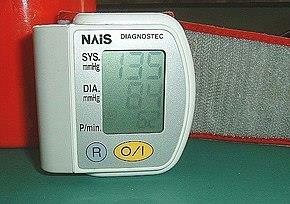 One of the health disorders of a highly mechanized modern world is high BP or hypertension. High BP is a health hazard if untreated affect all our body organs. In this article, I gave an account of what is high BP, what are its ill affects on human body and body organs, how to check and control this problem in our life. Life style of human beings is changing day by day. The way we eat, the way we take rest and sleep, the way by which we put our body to physical exertion are changing because of modern life styles. This had a greater impact on our health. At present with the help of modern technology like Smart Phones and Computers we are all doing our daily works without physically moving from our home. As we are giving less chance for our body to physical exertion leading us to complications like obesity, blood sugar, high BP or hypertension etc. For any treatment when visit a doctor, first he checks our BP. While our heart beats, the left ventricle of our heart contracts and pumps the oxygenated blood to reach every part of our body through artery blood vessels. As the blood flows through the artery blood vessels under pressure, the blood apply some pressure on the inner wall of artery blood vessels. This pressure applied by the blood on the inner walls of blood vessels is known as "Blood Pressure". In a normal healthy adult, the reading of BP is 120/80. The upper value of the reading is known as 'systolic pressure' and the lower value of this reading is known as 'diastolic pressure'. Systolic pressure represents the pressure caused on the artery at the time of heart beat. In between two heart beats there is some resting period for heart. The pressure by blood on the inner wall of artery during the resting period of heart is known as diastolic pressure. If there is an increase in the value of systolic pressure above 120 value said to be high BP or hypertension. High BP if not checked will leads to various health problems to our body. Who will get BP or hypertension? There is no scientific clue for saying which person can get BP or not. Any individual of any age may get BP in this modern world. Any individual of any age may get BP in this modern world. Scientists who are carrying research on this problem are advising various reasons for high BP-excess intake of salt through our diet, excessive drinking of alcohol, lack of proper physical exercise to the body, sending lethargic mode of life, obesity, smoking habit etc. Usually we don't find any outward symptoms even though the individual is affected with high BP. But internally this may affect our important body organs like kidney's, liver, heart, brain etc. which may leads to sudden death. This high BP is said to be a silent killer. What BP values are safe for our health? A normal healthy adult will have a BP value of 120/80 or even a little less values also will be good for our health. 120-139 systolic pressure and 80-89 diastolic pressure of an individual can be taken as Pr-hypertension stage. If systolic pressure of an individual is above 140 and diastolic pressure is above 90 will indicate a case of high hypertension. There is no need for a person to use medicine who is afflicted with pr-hypertension. But a person with high hypertension has to use recommended dosage of medicine regularly to keep the BP under control. If a person starts using medicines for BP under the advice of a doctor one should continue life long. A person with high BP and diabetes must be more careful regarding their health. A person with sugar will tend to have high BP. Similarly, a person with high BP will tend to have sugar problem. An individual with both these problems may face heart attack, Angina, paralysis, damage to kidneys, damage to retina etc. So diabetes patients have to take care about controlling glucose and cholesterol level in the blood. How to control and check high BP? Diet control, meditation, yoga, stress control, changes in life styles are the natural method to check high BP. Research studies of Scientists indicating consuming fruits with more C vitamin will play a role in controlling high BP. Scientists recommending use of fruits like oranges, kiwi, guava, straw berries, grapes etc. in our diet will help to regulate BP in control. Banana fruits contain rich amounts of potassium mineral. Potassium mineral known to control high BP and protect our heart. So an individual taking 1 or 2 bananas regularly will help to check our BP problem. Green leafy vegetables include Vitamin C, Iron, Magnesium and folate. All these nutrients are known to control high BP. Garlic is known to control high BP. So taking few garlic fleshy scales daily is good for controlling our BP. Persons with obesity tend to have high BP problem. So individuals with more body weight have to reduce their body weight through strenuous physical exercise. Reducing salt in diet will help to control high BP. So avoiding food items like pickles, preserved food items and baking items is good for controlling high BP. So we have to minimize the use of salt in the preparation of various dishes. An individual with high BP has to use a maximum of 3-4 gm. of salt daily in his diet. Consuming alcohol excessively daily will lead to increase BP. Smoking habit of an individual leads to hardening of the walls of the blood vessels which is the real cause of high BP. Physical exercises like walking, jogging, swimming, cycling etc. will help to expand and contract blood vessels alternatively which help them to improve their efficiency of working and thus high BP can be controlled. Mental stress is also is one of the reason for high BP. So an individual who give importance to yoga, meditation,hearing soothing music, gardening etc. will help our body to relax and thus it will help to check our BP. A good article on health and blood pressure. As far as becoming hypertensive, it is also reported that it can be familial. For instance, if parents, siblings have high blood pressure, heart disease, then the individual is at risk of developing High BP. When it comes to the values for BP, most doctors follow the American Heart Association guidelines. If one believes in allopathic medicine, we need to be updated with these guidelines. For instance, based on these guidelines from November 2017, High BP is one wherein the pressure more than 130/80. The values are lowered and the first line of treatment would be 'lifestyle changes' rather than tablets. So, it is good if the doctor, patient and the families are aware of the latest guidelines. (https://www.ama-assn.org/ama-statement-updated-guideline-measuring-blood-pressure). A lot of people try to control BP by eating all the right foods. Banana is one such fruit that is rich in potassium. But patients with kidney failure should be careful because, too much of potassium is not good for there already failing kidneys. In one of the articles on healthy life I had read about two useful things. One, the 5+5+2 formula. Five fruits(each portions is 15 gms, need not whole large fruits) a day, 5 days of exercise (even simple walking is counted) and 2 days of dieting/fasting (living on fruits and vegetables) in a week. The second is 'Artificial White (diet) is not good', here we have to avoid full strength milk, white sugar, polished grains and rice, white flour (maida), white bread, white salt. In India, if someone is hypertensive, then often the doctors check for diabetes, high cholesterol levels, heart disease and obesity. It is important to remember this because, life style modifications is the key to control all these diseases.In present day medical set-up most hospital offer a master health check, this is a good choice for someone (with a family history of the above mentioned diseases) who has been diagnosed with hypertension. Because with this all the major organ system including the eyes that can get affected by high BP are checked. Lastly, it is useful to remember about 'White coat hypertension'. Some patients are anxious and fear the visits to the hospital and doctors (who wear white coats). In such people, the BP will be high in the hospital, but normal at home. So, doctors are often careful to check the BP on 2-3 days/different occasions and times before starting such people on tablets.